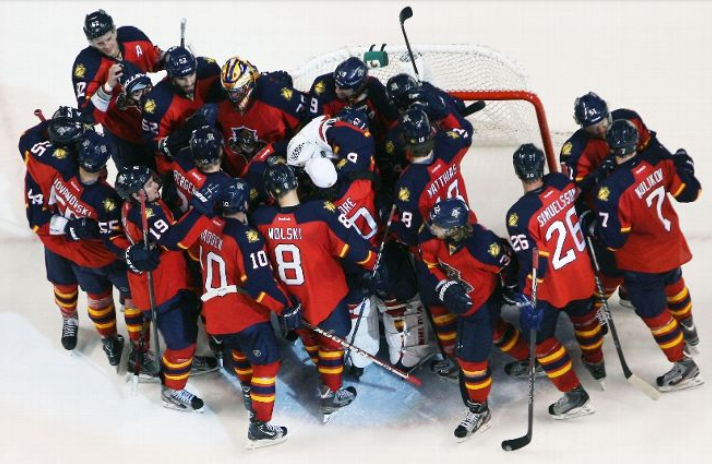 This entry was posted in Uncategorized and tagged Aleksander Barkov, Florida Panthers, hockey, James Reimer, Jonathan Huberdeau, Jonathan Marchessault, nhl, Roberto Luongo, Thomas Vanek. Bookmark the permalink. No one. You give them a mid round draft pick. Cats did same in obtaining Jagr, but it was a higher pick. Got Hudler and Purcell in similar fashion. Vanek wouldn’t likely require as much as Jagr. Or could offer a mid level prospect not named Rau, Hawryluk, McCoshen, Borgstrom, etc.